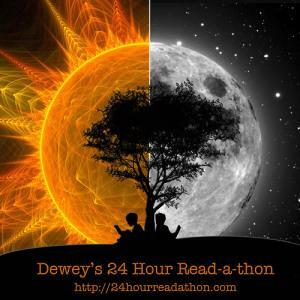 ← Dewey’s Read-A-Thon Update #4 – Mid-Point! Anyways, I did read Love Irresistibly – Julie James. I know that it wasn’t one of the books I was reading during my last update, but I grabbed it while I was waiting for my cheese sticks to cook and got sucked in. Julie James is a comfort read for me – I like her snarky humor and the way the stories just flow. I’m guessing that it probably took me about an hour and a half to read or so. Food Consumed: 1/2 a bag of Trolli Peach Rings (those things are like crack!) and cheese sticks. Next update, will probably be around 5am, but who knows – if i wake up before that, I may read 😉 Nite. Good luck to those still reading. Congrats on meeting your goal of finishing at least 3 books you had in progress. Looks like you had a great RAT!